This is a different way for students to record facts researched from a biography. At the end of the year in third grade we have the students choose a person to research and usually have them write a report. My group of students this year needed something a little different. 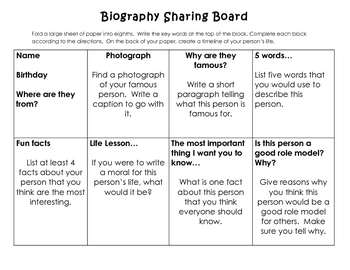 I used the idea of a nonfiction sharing board I found online and recreated it into a biography sharing board.